TL;DR version: Creative Commons (CC) licensing allows creators and users of online, digital content to share while protecting/acknowledging the rights of others. This blog post defines CC licensing, the need for it, and how to make it happen. 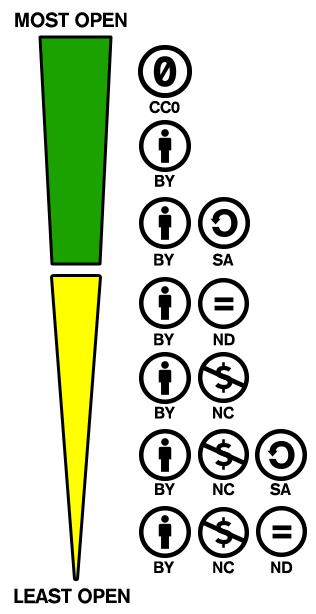 Creative Commons (CC) is a non-profit organization devoted to expanding the range of creative works available for others to build upon legally and to share. The organization has released several copyright-licenses known as CC licenses free of charge to the public. 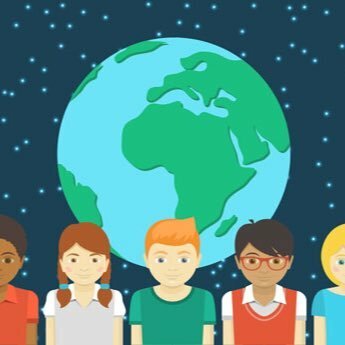 These licenses allow creators to communicate which rights they reserve, and which rights they waive for the benefit of recipients or other creators. According to their website, the following use cases might help you understand the role of the licenses. You want to let people share and use your photographs, but not allow companies to sell them. You’re looking for access to course materials from the world’s top universities. You want to encourage readers to re-publish your blog posts, as long as they give you credit. You’re looking for access to images to use in your blog posts. You’re looking for songs that you can use and remix, royalty-free. 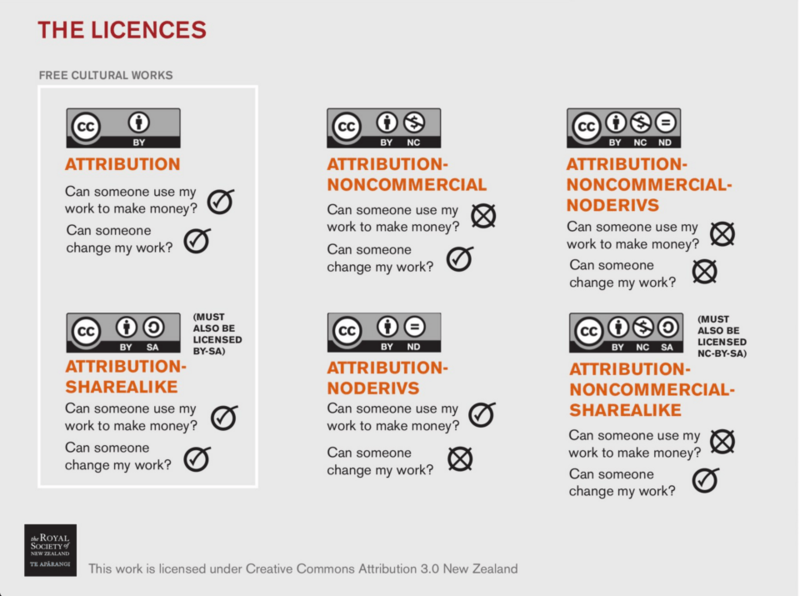 If any of the prompts above resonates with you, you should spend some time learning about Creative Commons licensing of content. To learn more, you can review some of the following videos. I’d also recommend listening to an interview with Cable Green, Director of Global Learning for Creative Commons. What CC licenses are available? To learn more about the specific Creative Commons licenses and stipulations made in each, please visit the Creative Commons Licenses page. It’s helpful to understand that the licenses scale up from the least open and most restrictive, to the most open and least restrictive. These licenses will determine what content you can use and how you can use it. This is also helpful as you determine what licenses to give to your own work. You can also view this resource on how to post, promote, and protect your content online using CC licensing. The following graphic below gives some quick guidance on the licenses. How do you find & use CC licensed content? There are tons of possibilities when you want to find and use CC licensed images. When I’m searching in Google Images, I click on “Advanced Search” in the settings for Google Images. Here I can select images that are “free to use of share” under the “usage rights” section. You can also find and use CC licensed images in Flickr. Please review this post for more explicit guidance on how to find and cite CC licensed images. To find and use CC licensed music, check out the Free Music Archive, or search Soundcloud. Keep in mind that you can use almost all of the materials from the Creative Commons Search, Internet Archive, Wikimedia Commons, or anyone of these places. Use this page to search for and share course planning materials and evaluation tools. How do you license and share CC licensed content? If you create and share content online, I believe you should assign it a CC license. You may not believe that anyone would find it of value, or pay for it…but I don’t think you should have those concerns. It’s more about allowing others to recognize you for your work and give you credit (if you choose). It’s also about building awareness for ideas, identity, and intellectual property online. If you work in education, or mentor others, you should definitely use and promote licensing of content through Creative Commons. For more information on how to easily set up a CC license and copy/paste it to any page, use this resource from Creative Commons. I also present many more details about what licenses to choose, and how to attach it to your content on this post. Cite what you use. Cite what you make. I recommend that you force yourself to use and cite content that has been CC licensed by others. I also recommend that you assign a CC license to your own work as you share it online. In education this is extremely important as we consider issues of copyright, ownership, and intellectual property now…and in the future. By sharing openly, and only using the content of others that do the same, we help create an atmosphere of creativity, collaboration, and access in online spaces. Like what you see here? Sign up for my newsletter to stay on top of weekly events in literacy, technology, & education.